… and raise the question of who pays for the grid (i.e. the “Aunt Millie effect”): Increasing deployment of solar PV reduces the amount of electricity that users consume from the grid. The cost of the grid, however, is largely not in the electrons but in the physical network of wires, transformers, etc. In the US we generally bundle those costs of investing in/maintaining the grid into the overall electricity rate. Solar adopters who offset 100% of their electricity use therefore often pay none of these costs. In the aggregate, deployment of PV can shift the fixed costs of the grid onto a shrinking pool of consumers – even though what we demand of the grid remains the same (and, for the reasons noted above, arguably increases). Critics of solar sometimes accuse solar adopters of “using the grid like a big battery for which they are not paying the costs of operations and maintenance.” This view simplifies and overstates the problem by, for example, not accounting for the benefits that distributed PV can bring to the grid (i.e. deferring the need for distribution upgrades in certain areas). There is, however, indeed a question of how to allocate these fixed grid-related costs – what NYSERDA’s Richard Kaufmann has dubbed the “Aunt Millie effect.“ As solar penetration rises in the US (from what remains a very low base) more states are likely to consider passing along grid-related costs to users via fixed charges rather than as charges bundled into the electric rate. 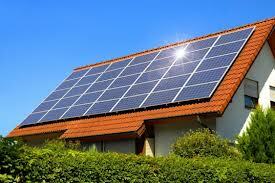 How this will affect the economics of distributed PV in different markets remains to be seen.